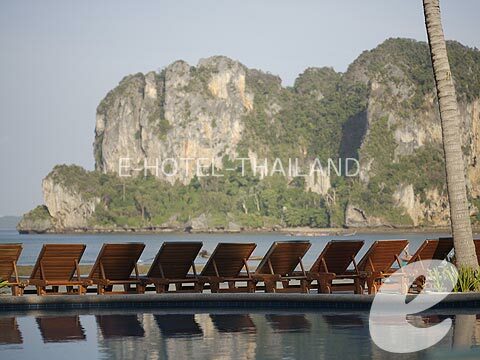 Beach Resort with great green garden overlooking stunning view of limestone mountains. 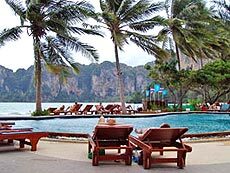 Located on railay beach in Krabi province of Thailand provide maximum comfort with 130 rooms of 7 different types catered. 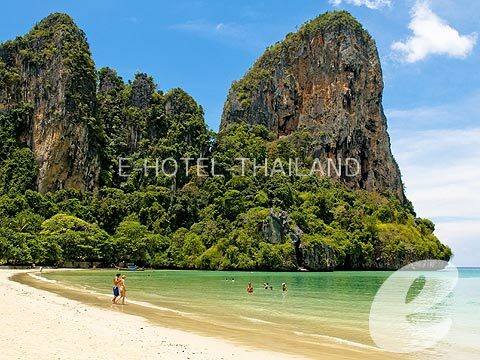 We can guarantee a wonderful stay a our resort, the resort is set in lush gardens stretching from west to east Railay with plenty of coconut trees and tropical fauna placed between our bungalows and walkways to ensure that you will never find yourself in less than beautiful surroundings. * A child/children 5-12 years sharing a room with adults without putting extra bed will be charged only breakfast fee of THB 200++/child.